Do you live in Armatage and have your own small business? We’d like to help promote you! We will be adding information to our website as well as including information in welcome packets to new residents. If you’d like to be included, send some information about your business (with any web links) to our coordinator. Chime in on what you value about our parks as the MPRB faces budget challenges. Minneapolis residents can learn more about Closing the Gap by watching a short video and share their opinions by taking a 15-minute survey at www.surveymonkey.com/r/ourparks. The survey is open through September 30. Yard waste collection will end the week of November 16, 2015.Residents should not rake their leaves and other debris into city streets – it’s bad for our lakes and waterways and it’s against the law. Leaves are natural but decomposing leaves on streets and sidewalks can wash into storm drains and eventually end up in Minneapolis’ lakes, streams and the Mississippi River. Leaves over-fertilize lake water and encourage harmful aquatic plants and algae to thrive. The result is murky lake water that isn’t good for swimming and fishing and harms wildlife. Collect and bag all yard waste and place it by your regular recycling and garbage containers. When purchasing compostable plastic bags, look for the logo on the right. This logo ensures the compostable plastic bags meet prope r standards for pick up of yard waste from your home. You will not find this logo on Kraft paper bags. Use your own reusable containers for un-bagged yard waste. Organics Recycling – there’s no extra cost to participate! 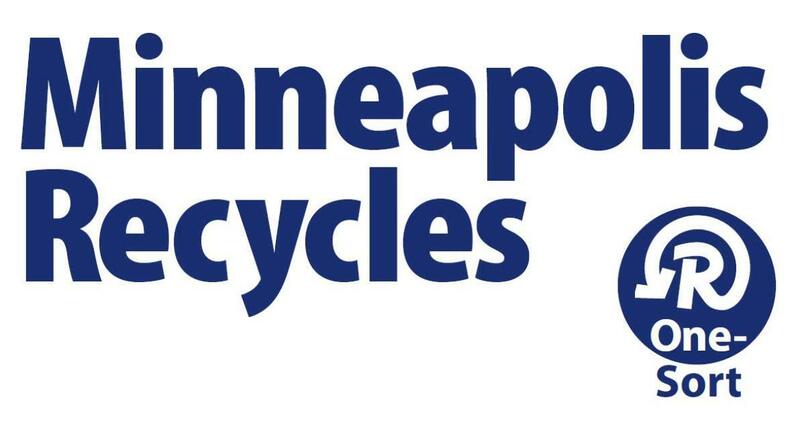 To take part, residents must sign up by contacting Solid Waste and Recycling at 612-673-2917 Monday–Friday 8am–4:30pm or at SWRcustomer@minneapolismn.gov. Search the map to find out when organics carts will be delivered to your block. Even if you aren’t eligible to have organics recycling pickup at your home, you can bring your organics for recycling to one of five organics recycling drop-off sites. Your organics cart must be at your collection point by 6am on your collection day each week. Customers who opt-in to participate are provided with an organics recycling cart, either small or medium. Properties with two or fewer dwelling units are provided with a small (32-gallon) organics recycling cart. Properties with more than two dwelling units are provided with a medium (64-gallon organics) recycling cart. You may request a larger or additional organics recycling cart by calling Solid Waste & Recycling at 612-673-2917. City crews deliver and maintain all carts. If your cart is damaged, call Solid Waste & Recycling 612-673-2917 to request your cart to be repaired. This entry was posted in Community Engagement, Green Living, Park on September 25, 2015 by anacoordinator.